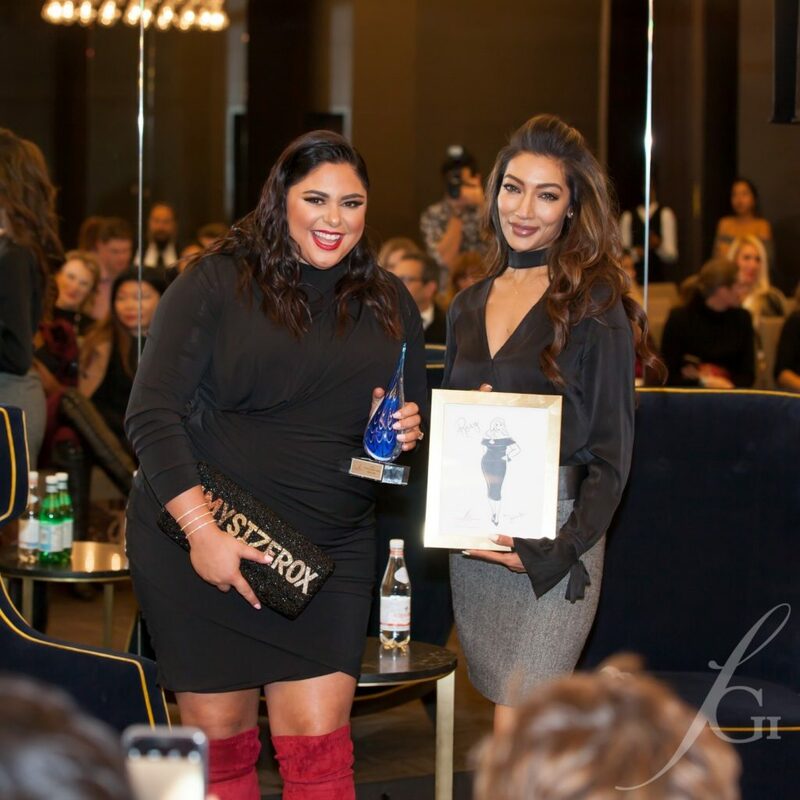 When Mitsou interviewed Real Housewife of Toronto Roxy Earle this summer, Roxy had just launched her first Roxy Earle x Le Chateau collection. The line included sizes from 0 to 22W. With the success of the collection, Roxy designed a Fall collection, and she just launched her very sparkly holiday collection! 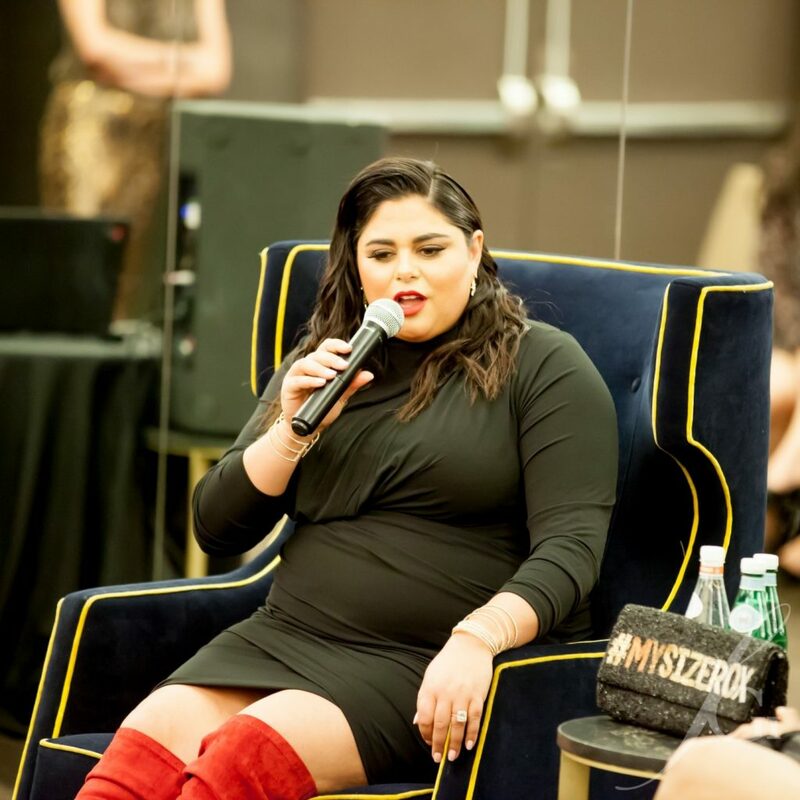 Not only did this incredibly inspiring woman start the #mysizerox movement to promote body positivity and inclusivity for all body sizes, but her career has exploded since then. Her clothes have been worn by stars like Lena Dunham. She has collaborated with Ashley Graham. Her sequin & knit track pant was just featured in InStyle magazine! She has been such a transformational force in the lives of women (and men!) 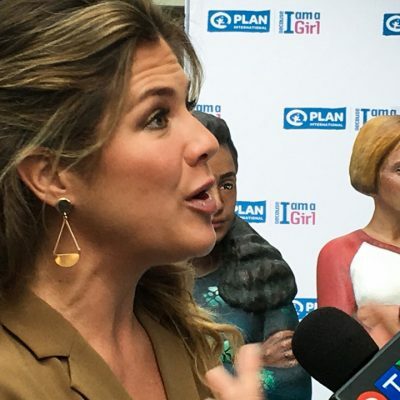 that she was recently given a Visionary Award by the prestigious Fashion Group International Toronto. I had the privilege of attending the event. I was so blown away by Roxy’s confidence, magnetism and authentic vulnerability, that I had to share some highlights from the Q&A. When did you realize you were embarking on a movement with #mysizerox? I was sitting in an interview and someone asked me “What is it like to be the first plus-sized housewife?” My response was that I just didn’t think of myself as any label. I celebrate the plus-sized community, but I didn’t identify with one side or the other. I just identified as myself. I’ve always loved my own body. I’ve always felt confident in my own skin, and it was like it was a negative. I said “No, I’m my size, and my size rocks!” and a movement was born. I’m a Canadian girl through and through. I just happen to live part of the year in California. While I’m in California, I wear Roxy Earle, and all my friends wear Roxy Earle. We are rocking Canadian clothes down in LA, at Newport beach, in Orange County. My clothes have always been designed as my dream wardrobe. I go to all these glamourous events. I travel the world. I wanted a wardrobe that was worthy of the fashion statements I wanted to make. These are the clothes that I wanted that didn’t exist, so I actually made a wardrobe for myself, and then sold it to lots of amazing women who also wanted my wardrobe. So, it hasn’t changed my POV, if anything being in California just motivated me. Lena Dunham just wore my collection exclusively on her latest tour. I have a few really big celebrities that I design clothes for. You’re going to see my clothes on a global stage and that’s really exciting. Canadian clothes, by a Canadian brand, by a Canadian woman. When you get messages everyday saying “Because of you I’ve recovered from an eating disorder”, “Because of you I’ve decided to get married this year and wear a wedding gown, to wear one of your wedding gowns down the aisle”, “Because of you I feel confident enough to start dating again”. When you get messages like that every day, those are your people. That’s my motivation. I’m just a voice for a whole group of women who have felt unrepresented in fashion. I am just there for them. I don’t think of this as mine. Every single person who uses my hashtag, this is all of ours, and that’s why I share my success with my followers, that’s why they’re my models, and why I name my clothing after women in this country. This isn’t about me. I’m just the girl who’s been bestowed the responsibility, and I’m very honored by that. I am very humbled by that. This is for every single woman who has felt excluded from fashion. Roxy shared that sees a lot more television in her future. I hope so! I, for one, can’t get enough.